In the last couple of months, we see a growing interest in our product and based on the questions we receive, we’ve decided to write this article about Quotiss. As you read through, you will find out what Quotiss is and what it is not, and how exactly Quotiss helps freight forwarders to gain commercial efficiency and drive results. Due to highly complicated nature of container shipping, no standard software can handle standard business requirements of a standard freight forwarder. The logistics industry is the industry of MS Excel or custom-made software. Most of the medium to big size forwarders work with programs which were designed specifically for their organization’s needs. There are too many flaws in this approach, starting from the cost to create and maintain it, to a very slow response to change requests. 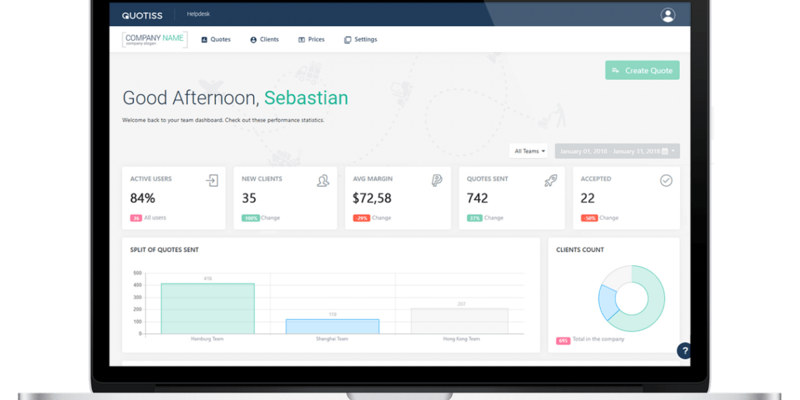 Quotiss is sales automation software designed for the freight forwarding organizations of any size and type. Quotiss provides a basic framework, which simplifies the commercial process of any freight forwarder involved in container shipping. It is a standard, yet highly flexible tool, which can be configured in a couple of hours to match the most complex business requirements. The software has been designed by 2 logistics professionals with many years of experience in direct sales and performance analysis in container shipping. Sales analytics and performance reports. 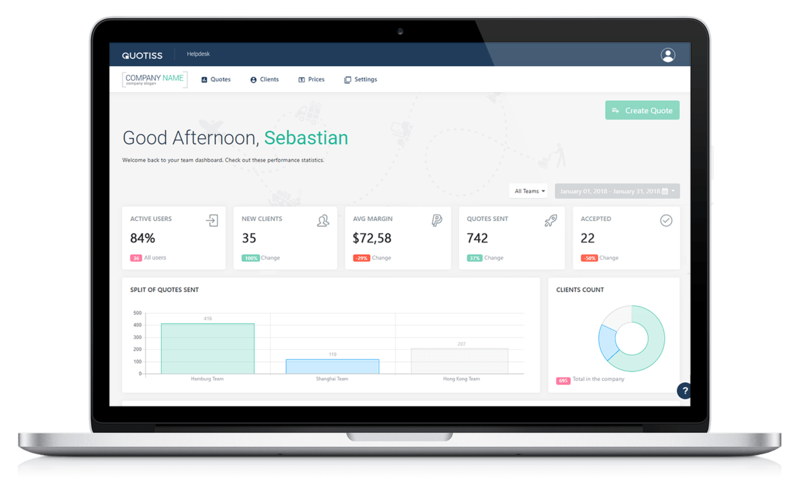 Clean, modern design and intuitive interface – sales people love it! Enterprise Technology (Quotiss is likely here). With flexible monthly payment scheme, there is no risk of getting stuck with the product that doesn’t fit the business needs. Quotiss is the most efficient quoting software on the market. This sounds too good to be true, but people get very excited when they see Quotiss in action! Contact us and schedule a demo. You’ll be impressed, we guarantee!